Many people are in debt with online loans these days. They feel stuck, and they are. Online loans and payday loans are hard to get out of once you are in them. Some people are even stuck with several of them. The reason why they are so hard to get out of once you borrow speedy cash is because the interest is high on them. However, it is easy to get payday loans, and many people go to them when they have no other choice. Payday loans are called this because you pay them back as soon as your employer pays you. Some of them require you to have a bank account, usually a checking account. The reason for this is because you write a check to them and they lend you the money. Then, once the loan is due, if you don’t go into the loan office to pay it back, they will turn the check to your bank and get their money back that way. If you don’t have the money in your bank account, the check will bounce, and then you will owe your bank the money plus an overdraft fee. Overdraft fees are just as outrageously expensive as online loans. Because of this, you need to be careful when borrowing from these places. Make sure the money is in your account on the day your payday loans are due. It is so easy to get stuck in one or more payday loans and even online loans. The reason for this is that it starts to become a never-ending cycle. You borrow money from one to pay an emergency bill that came up unexpectedly. You then borrow from another to pay the first one back and, yet again, borrow from another to pay the second one back. Then, once you are in you feel trapped. Don’t worry! You can get out of these loans. It is hard at first, but it can be done. Here is more information on how to get out of the trap of online loans and payday loans as fast as possible. When it is time to either pay them back or make a payment, because some places let you make small, monthly payments on them, you should pay as much as you can, as soon as you can. Doing this is mainly for those payday loans that allow you to make small, monthly payments. Although you can make low, monthly payments, you should pay more than the minimum amount required. If you only make the minimum payment required, the small monthly fee, you are just paying the principal. Because of this, you are not paying the loan off, but instead, you are keeping them from coming after you. When looking at the bills, you have to pay every week or month; you have to put your loans in with your bills. After all, they are your bills now too. When looking at the payday loans you owe money to, look at them all together instead of single loans. The reason for this is because when looking at them separately, you may wonder how you are going to come up with each payment by the due date. However, looking at each debt as a whole debt lets you find other ways to pay them back. You want to pay the high-interest loans first before anything else. This is because they are more expensive than the lower interest loans. If you make them a priority, you will get them paid off quicker. Then, they will be out of your way, finally! Although you want the loans paid off as fast as possible, it is a smart idea to ask for a longer time to pay for them. This way, they won’t be as hard to pay off, even though they will take a little longer. The loans won’t stress you out as much if you have an extended time to pay them off. Breaking the payday loan cycle for good is something you need to do right away. Once you are out of these loans, don’t go back, ever! It is hard at first, but once you get out of these loans, you will be happier. Breaking the cycle is a hard thing to do, but once you do, you will at least have fewer bills to pay and less stress. Getting payday loans and online loans can be a good thing to do, sometimes. 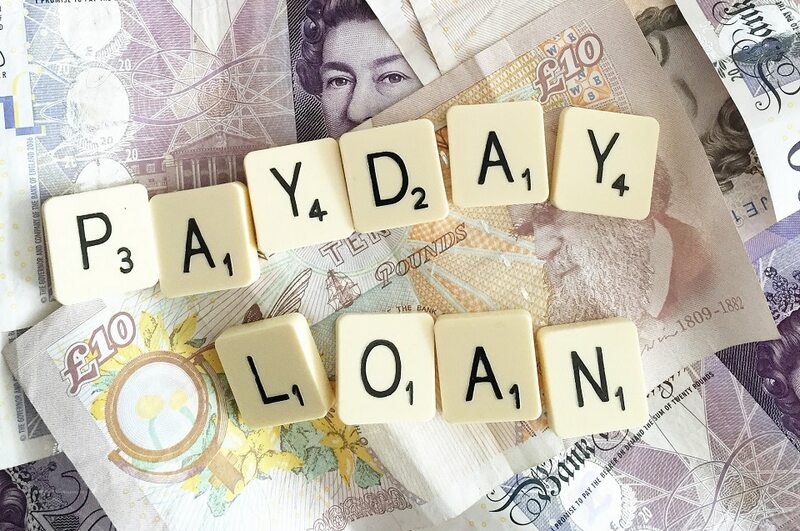 Here are a few benefits of getting payday loans. Although there are a couple of benefits to getting payday loans, sometimes, there are also cons to getting them. Here are a few reasons why you should think twice before getting online loans. How Easy is it to Get Bad Credit Loans? Bad credit loans are the easiest loans to get in with. The reason they are so easy is that these places don’t care how bad your credit history is. You can have the worst credit score and they will still lend you the money. Why? It is because they are tough to pay off. They charge a lot of money for interest, and it takes a lot of money and a long time to pay them back all the way. Getting online loans and payday loans is something you really should avoid at all costs. Instead, borrow from a friend or family member or try to get a personal loan from your bank. If you don’t have a choice, however, make sure you get out of them as fast as possible. Once you get into these types of loans, it becomes a never-ending cycle of feeling trapped in them. Try to borrow from another source if you can before getting a bad credit loan. If you do end up getting a payday loan, make sure the money is in your bank account or take it to them when it is due. Try not to borrow from another payday loan lender, just to pay the first one back, if you can avoid it. One payday loan is enough to make you wish you didn’t get into it in the first place. Take the advice above and either don’t get bad credit loans or get them paid off fast!